The sleek elegance of this Roberto Coin ring from the Nabucco collection will definitely turn some heads. 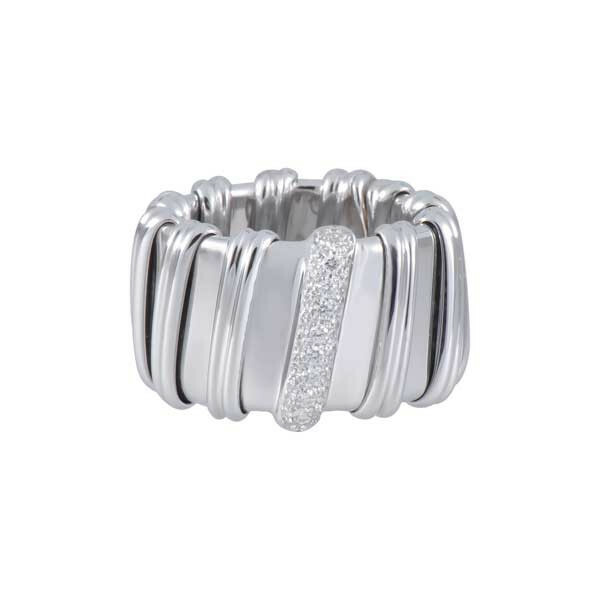 The polished surface of the 18kt white gold band shines through the metal ribbon that wraps around the ring completely. A section of white diamonds add the perfect sparkle to this piece with a flexible inner core. 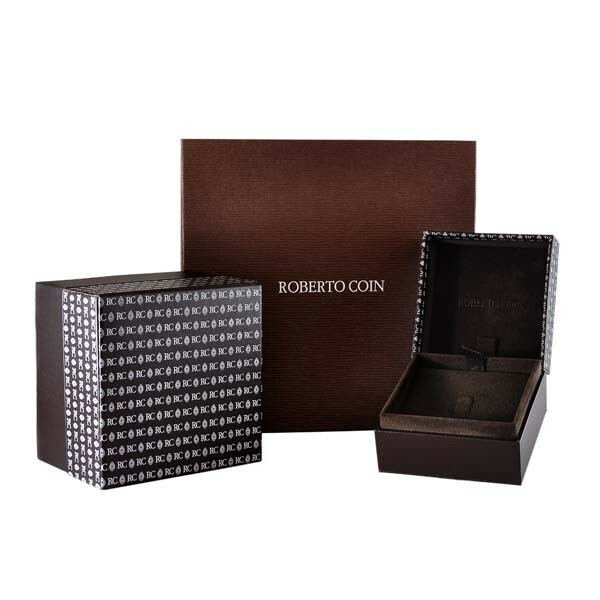 Add a contemporary Roberto Coin touch to your wardrobe with this fantastic ring!